LEGO has just announced that they will be adopting the “Research Institute” set an official product. The set will feature an astronomer, chemist, and a paleontologist and their awesome workstations. Oh, it is also prudent to mention that the amazing minifigure scientists are all going to be female. Though many details of the sets still need to be worked out, they are expected to be available this August. 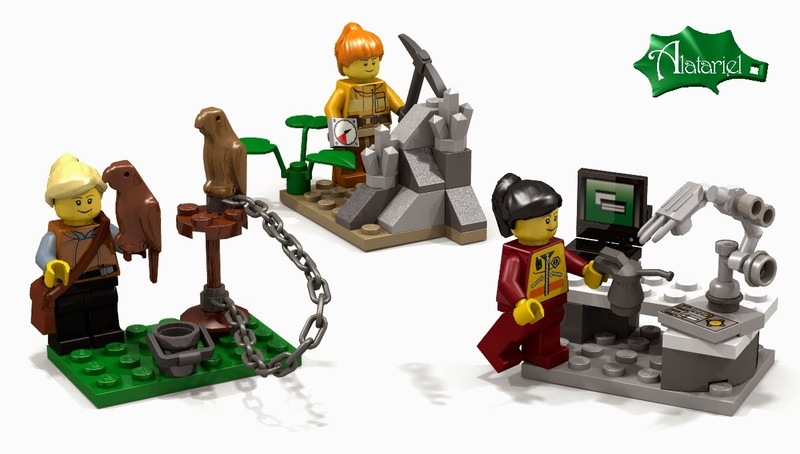 The set was designed by geochemist Ellen Kooijman, who stated on her blog that she wished to change the ratio of male to female minifigures as well as give them more interesting occupations. The idea was submitted in May 2012 and reached 10,000 supporters in June 2013, allowing it to move on to the next phase of LEGO’s consideration. The LEGO Review Board analyzed the Research Institute set along with six others: Sherlock, Japanese Old Style Architecture, Legend of Zelda: Iron Knuckle Encounter, Macross VF-1 Valkyrie, Adventure Time, and BTTF - UCS DeLorean Time Machine. They were all analyzed for a number of criteria to explore how and where they would fit within the LEGO brand. Ultimately, only the Research Institute was selected to get put into production. Kooijman’s submitted design may not reflect the actual finished product that hits the shelves. The design, price, and availability will be released in August. She also submitted other scientific professions that weren’t selected by LEGO at this time, but some of us can hope that they would be added at a later date, assuming the launch of the Research Institute is as popular as we hope it will be. The other female scientists that weren’t selected for production include a geologist, a robotics engineer, and a falconer. As an example, the LEGO Minigures Series 11 released in the fall of 2013 consists of 16 characters, 5 of which are female. Male occupations included mountain climber, barbarian, island warrior, and saxophone player. While there was a female scientist in the mix, the other female minifigures were lady robot, crazy cat lady grandma, pretzel girl, and diner waitress. While I have nothing against pretzels or grandmothers, LEGO could have done better. The addition of the “Research Institute” shows a positive step forward in appealing to girls and encouraging their creativity. LEGO also released Olivia’s Invention Workshop as part of its LEGO Friends collection in 2012. Olivia came with tools, a blackboard, a microscope, chemicals, and even a pet robot. While many have criticized LEGO Friends for playing into the stereotypical purple and pink color palate, it appears to have a fan base. 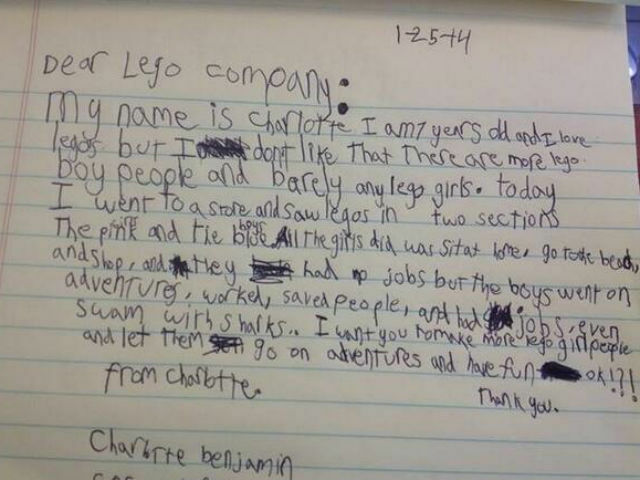 Prior to the launch of LEGO Friends in 2011, only 10% of LEGO customers were female. After the first year of the Friends on the market, that number skyrocketed to 27%, which was double what had been predicted. Hopefully LEGO will use this growing consumer base to encourage intelligence-based pursuits. Of course, LEGO is a business who is going to sell what consumers actually want. If we want science-based toys, we need to buy them and be vocal in our support for their creation. You can’t be what you can’t see, so for children (particularly girls and minorities who are under represented in science) it is important to plant these aspirations early on. -Cosmos: Ship of the Imagination. Build the ship used by Neil deGrasse Tyson on “Cosmos: A Space-Time Odyssey.” Comes with minifigures of Neil deGrasse Tyson and Carl Sagan. -LADEE. Build NASA’s Lunar Atmosphere and Dust Environment Explorer, that launched and completed its mission last fall. -Cell Biology Laboratory. Teach your child about genetics and infectious disease in this massive laboratory setup with three minifigure scientists. -ITER Fusion Reactor. Recreate the core of a star with this fusion reactor to create copious amounts of clean energy! -Working Microscope. Yes, seriously. Use LEGO to build a light microscope that actually magnifies samples! For more amazing science-based LEGO Ideas that need your votes, check out their website.